You need a mobile friendly website these days, no question about it. You shouldn’t be asking whether or not you need a mobile friendly website, as more than 60% of the United States adult population owns a smart phone and the percentage of mobile traffic continues to rise. You might, however, have a question about how to create the best mobile viewing experience for your website visitors in order to increase conversions. We have put together a list of tips to help you get started. There are two options when it comes to serving up your website to your mobile visitors. You can create a mobile specific website that renders just some of the information from your website that you deem important, such as contact information and product listings. If your visitors will benefit from being able to access all areas of the website then a responsive design is the way to go. We tend to always favor responsive designs because they adapt to any screen size and Google prefers RWD. Want Organic Rankings? Mobile Friendly a Must! Google and other search engines put a weight on mobile rendering, so if you are attempting to rank organically and spending money on SEO then it can be counterproductive if your website is not mobile friendly. Make sure that your mobile navigation is simple and the user can access all areas of your site without zooming in and out. A responsive web design ensures that your visitors can complete your forms and access additional pages just as simple as if they were on a desktop. When designing a website the mobile version needs to be taken into consideration as well. 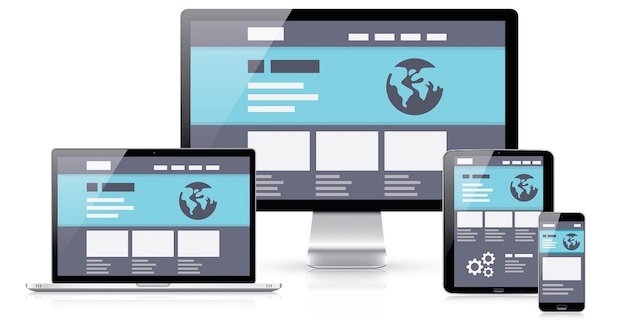 A responsive website adapts to fit any device screen size, so the layout must be put together properly from the beginning. Many websites can’t simply be converted and this presents a great opportunity to do a rebranding or a complete redesign. A good designer will take into account where your conversions occur, including lead capture, phone calls, and sales. These need to be easily accessible on the mobile design in order to convert smartphone and tablet traffic. Mobile call-to-action buttons need to be easy to click for all of your users. When designing the mobile layout have multiple people test the ease and usability of your button locations and sizes. The last thing you want to do is make it difficult for someone with large fingers to use your site comfortably. Don’t be afraid to use large buttons. When looking at your analytics make sure that you look at desktop and mobile visitors differently. Combining all of that data into one pool isn’t going to do you any good. Mobile visitors act differently on websites and when you look at that segment separately you can improve the user experience and work towards improved conversion numbers. If you notice traffic is dropping off at a certain point make slight changes to improve the flow. Your mobile audience is going to be accessing the Internet from a variety of connections and speeds. Some will be on lightning fast LT networks and some will be on slower connections. Then, you will have some that are accessing your site via a public Wi-Fi network with hundreds of users, making their connection very slow. Take the time to make sure your website is ultra fast, providing the best experience for users on all kinds of mobile connections. One mistake we see websites make is completely ignoring their checkout and shopping cart experience on mobile devices. Not all shopping carts are mobile friendly and you could have the best mobile website but if your visitor hits the shopping cart and they have difficulty navigating they will bounce off. Shopping cart abandonment rates are already naturally sky high, so ensure that you have a mobile friendly checkout and shopping cart. Don’t delay, you need a mobile friendly website ASAP. Delaying can mean missing out on leads, sales, and revenue opportunities. Ensure that every visitor, regardless of what type of device they use to visit your website, has a pleasant experience.